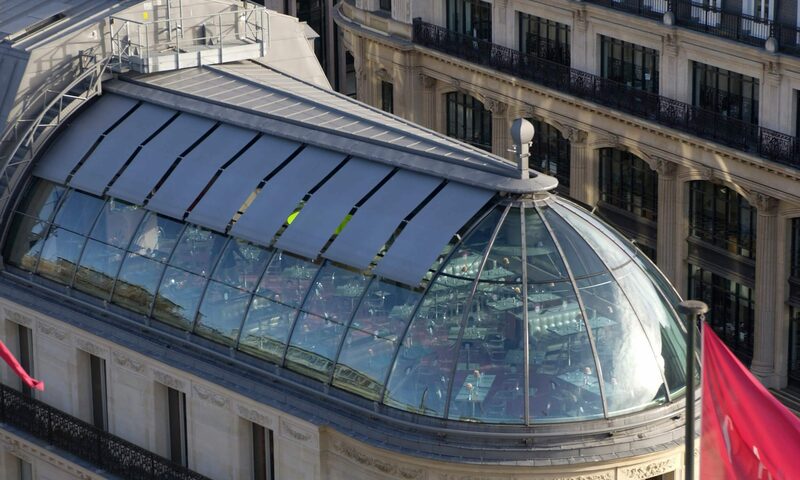 Glazed roofs create impact. They are often gathering places, making the control of heat and light essential to their success. 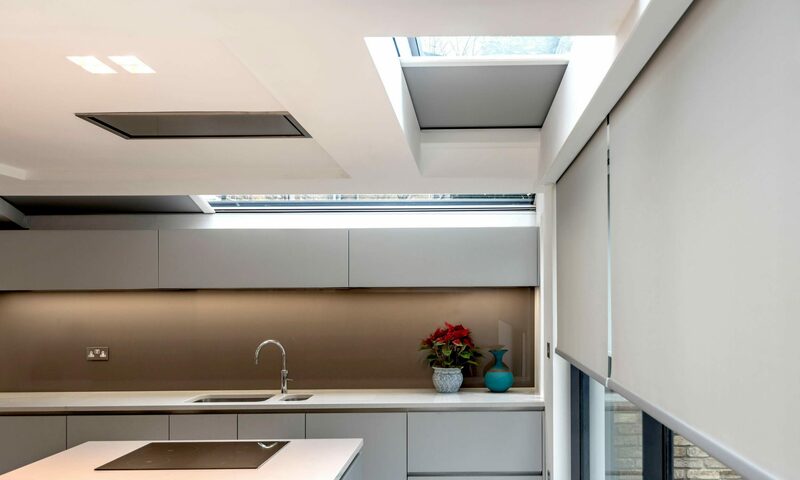 Architectural blinds with high-performance fabric offers precise regulation and energy savings whilst letting in the right amount of natural light. Automated tension systems can be installed horizontally or at an angle to suit the structure, convering up to 100m2 with a single system. 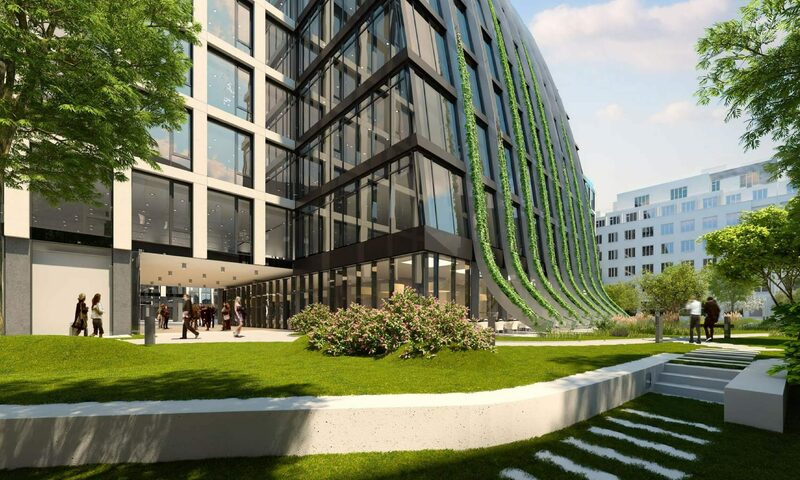 Today’s façade design must be both beautiful and sustainable, utilizing a variety of technology to deliver energy savings as well as a comfortable internal environment. 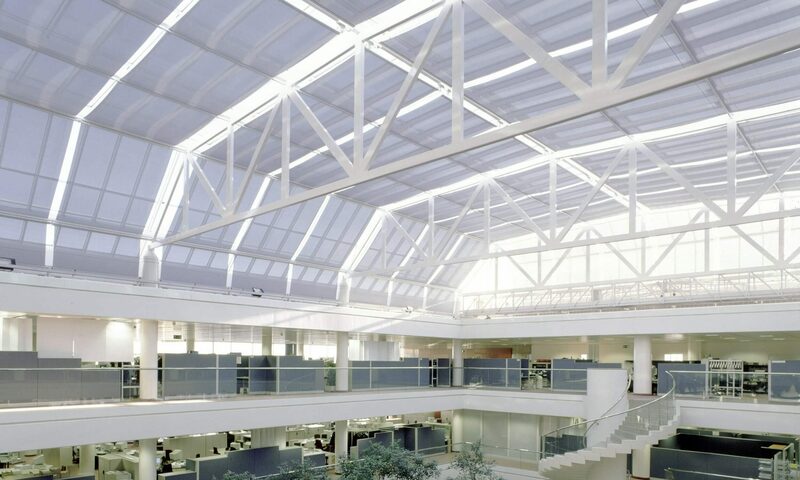 External fabric shading most effective protection against excess heat gain is external fabric shading, which can reduce energy demand for cooling by over 70% and lighting by over 50% without losing the view to the outdoors. 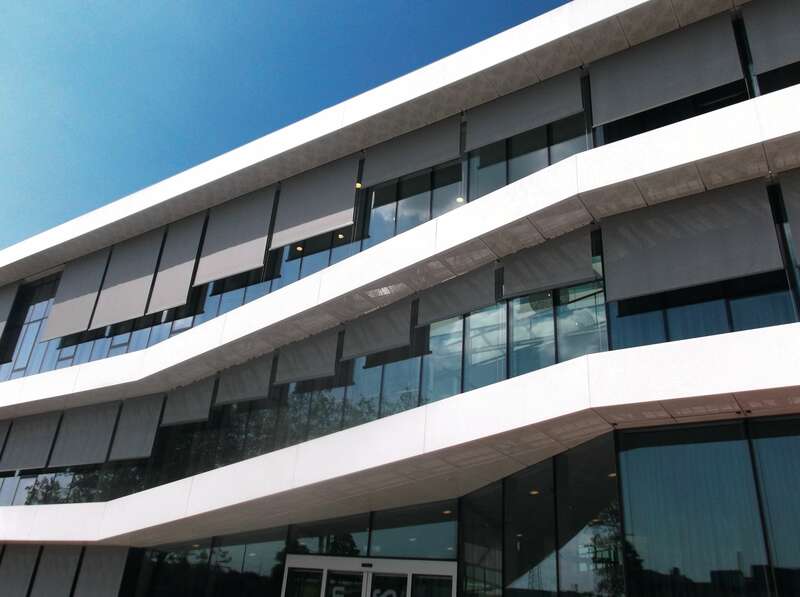 Tensioned architectural blinds actively adapt to varying conditions. 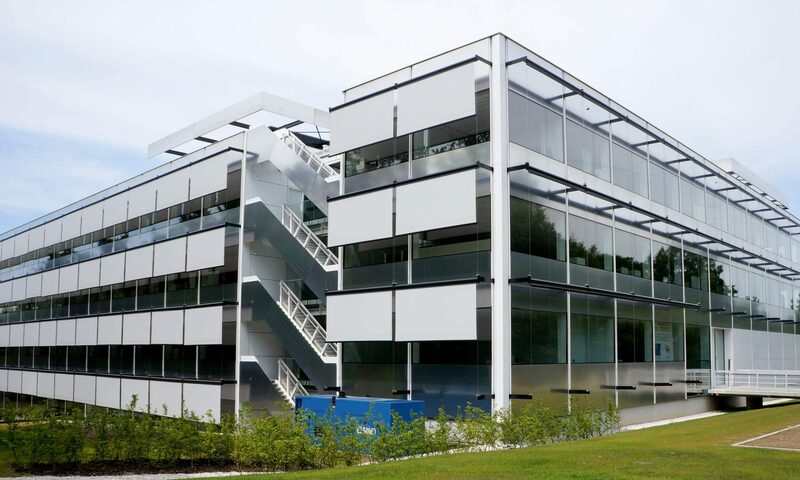 They can be integrated within the curtain wall or façade structure for a clean look, or set out from the façade using stainless steel cable guides to create the illusion of floating fabric. 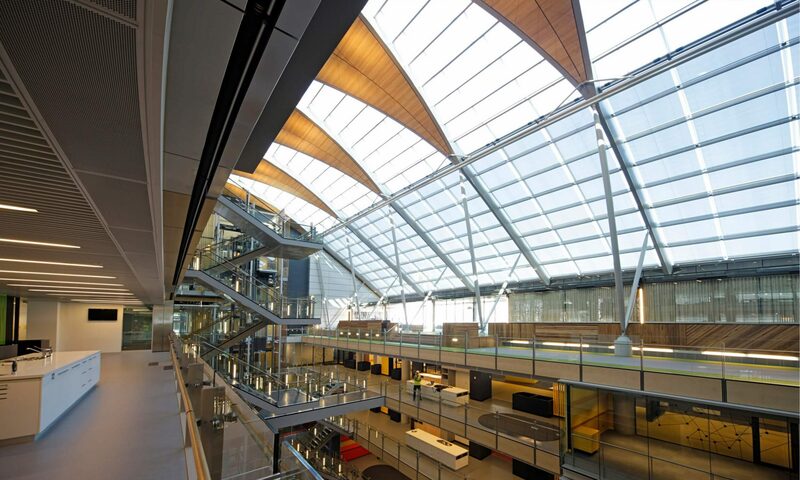 Structural glass walls are now the building envelope of choice for most major commercial developments. 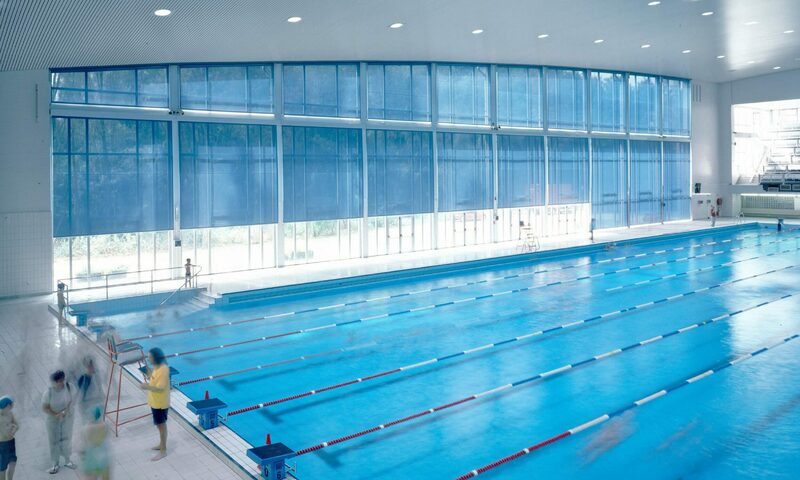 Internal fabric shading mitigates glare as well as complementing fixed external shading strategies, and with state of the art reflective fabrics, can serve as an effective standalone shading strategy. 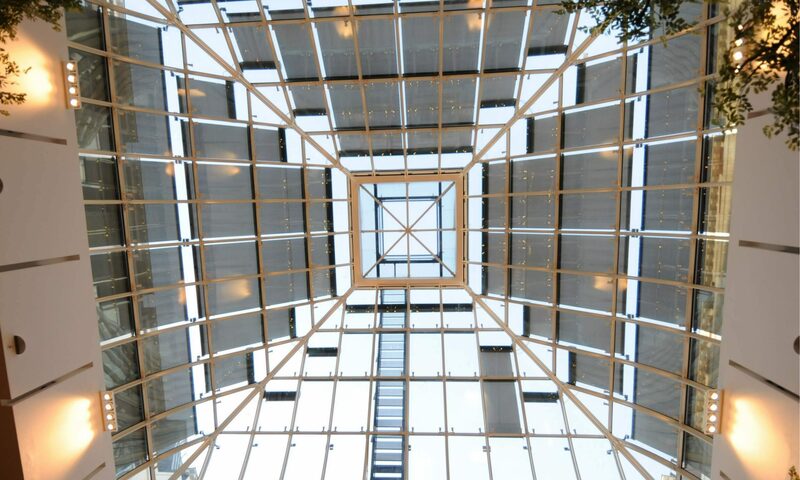 Engineered roller systems can cover vast areas with single panels of fabric, whatever the angle or shape of the glass. 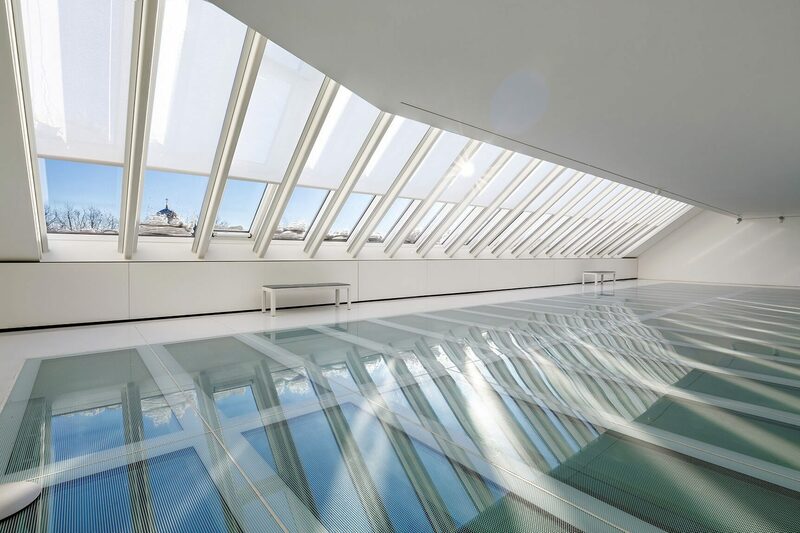 Skylights are a quintessential part of residential building design. They open up what would otherwise be dark spaces and flood our homes with natural light. But left unchecked, the spaces underneath them quickly become too hot and too bright. 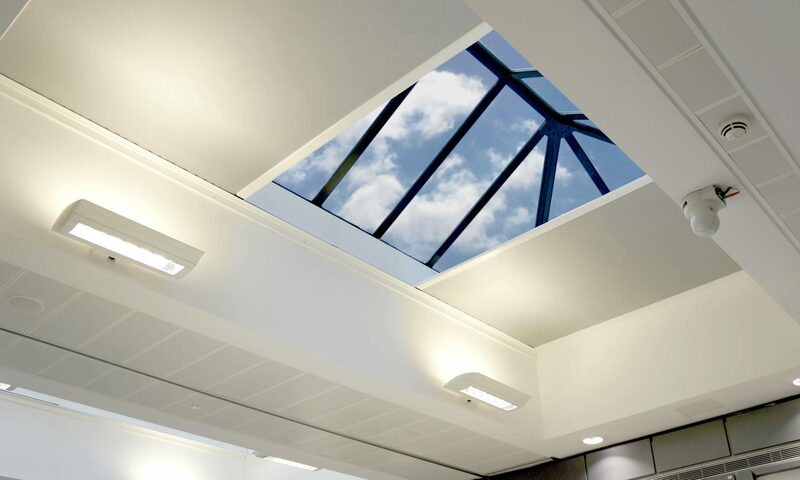 Tensioned fabric systems can be concealed within the skylight frame for an elegant finish. They are also strong enough to cope with extremes in temperature and wind speed. 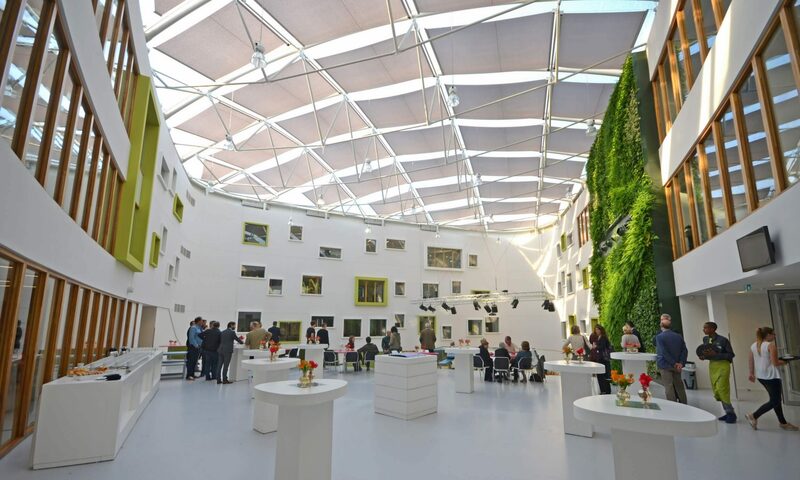 The sheer density of urban spaces makes rooftop, courtyard and surrounding outdoor spaces increasingly valuable. Planning shade in these areas is crucial in converting an architectural idea in to a well-used space. 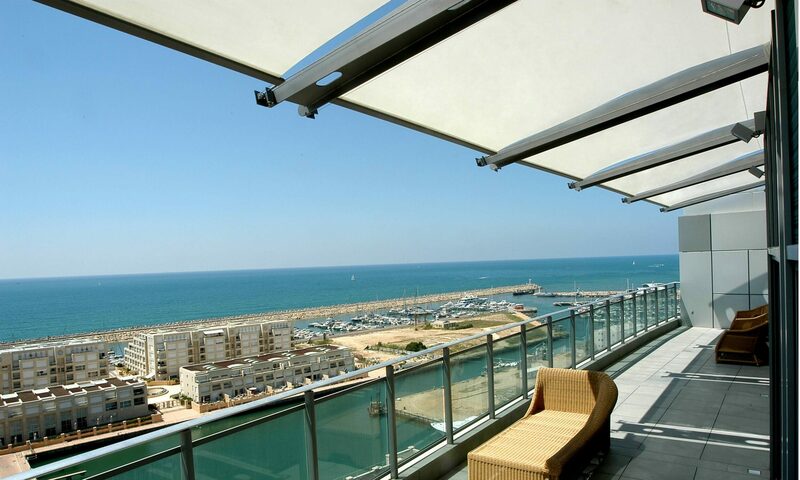 A subtle shading mechanism is also important to ensure views are clear when sun protection is not needed. 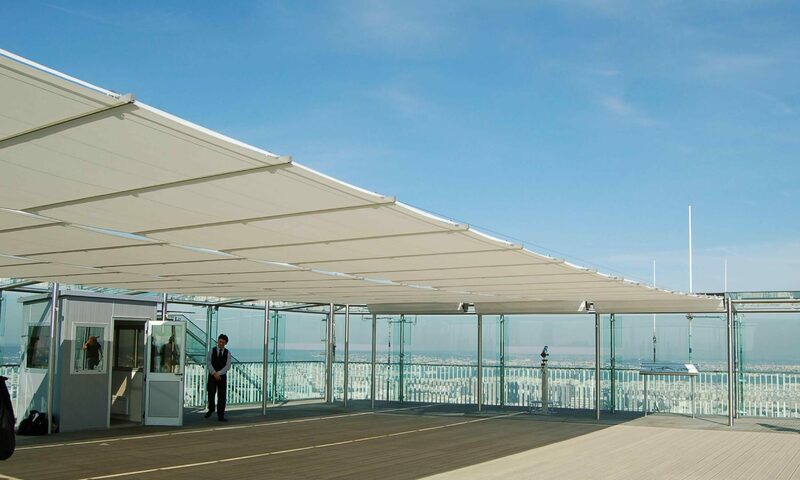 Tensioned pergola and sail systems can operate on slim support cables, eliminating the need for intrusive columns and bulky supporting structures. 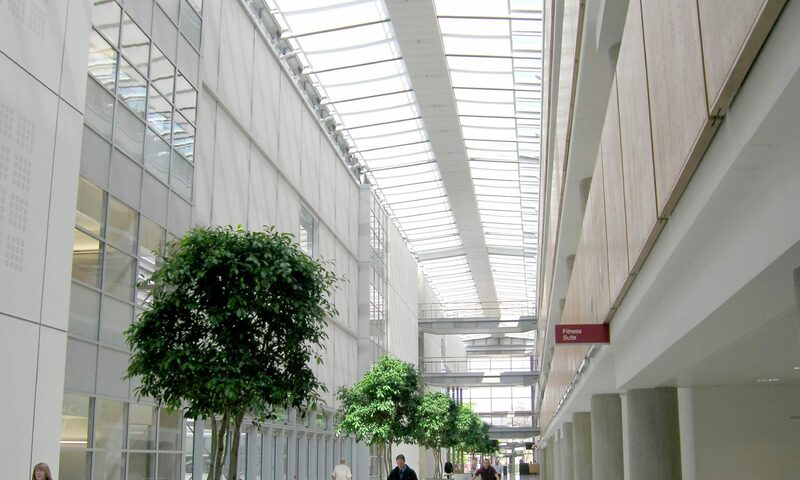 Bespoke architectural blinds allow the design of unusual sizes, shapes, and applications. 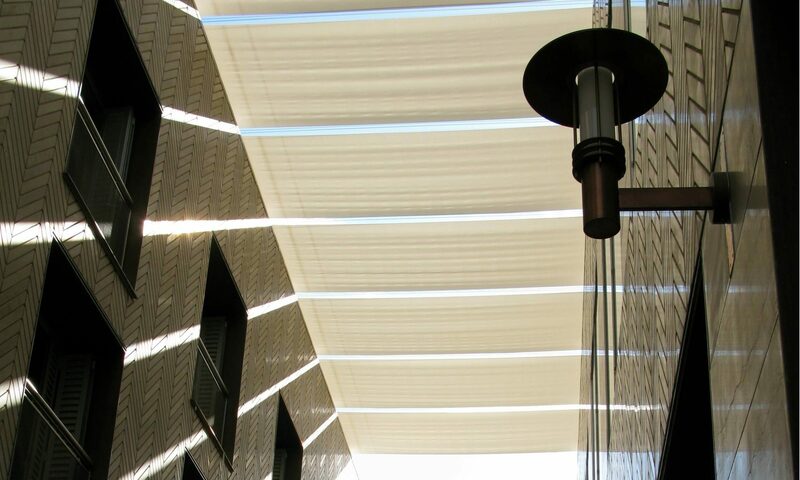 Technically advanced fabric shading systems conceal a torsion spring and a motor within the fabric barrel, allowing design of unusual sizes, shapes, and applications. 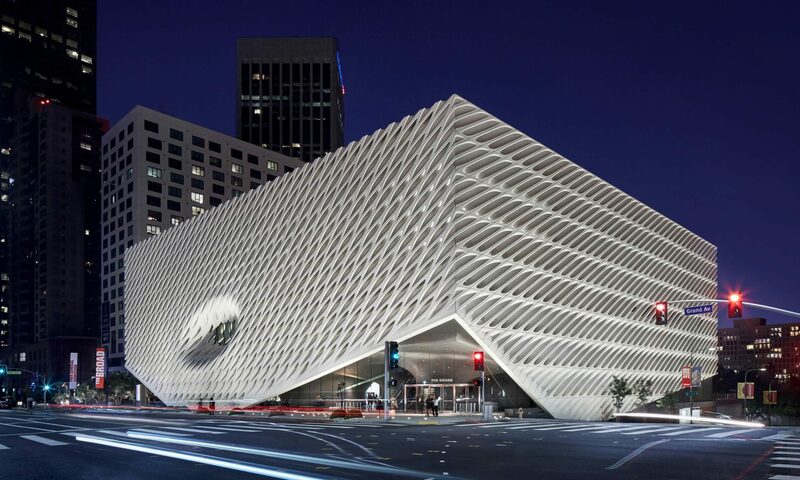 With creative experimentation and precise engineering, almost any structure can be shaded. 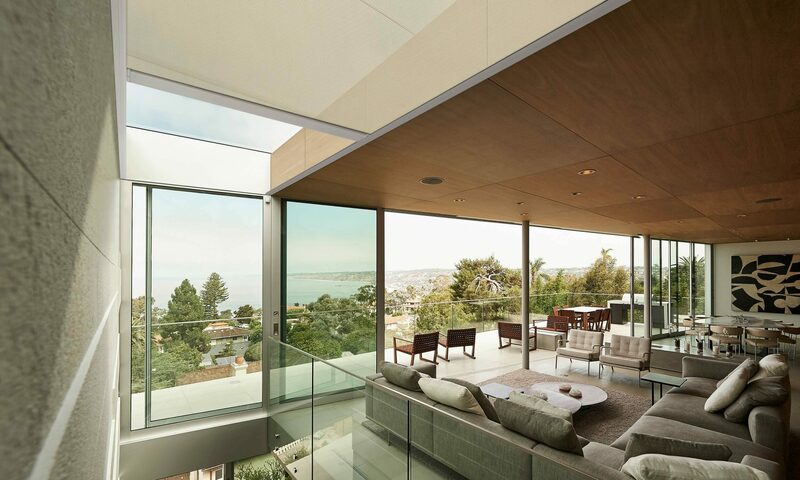 This includes glazing which is horizontal, sloping, bottom up, duo-screens, curved, triangular, and extra-large glazing. 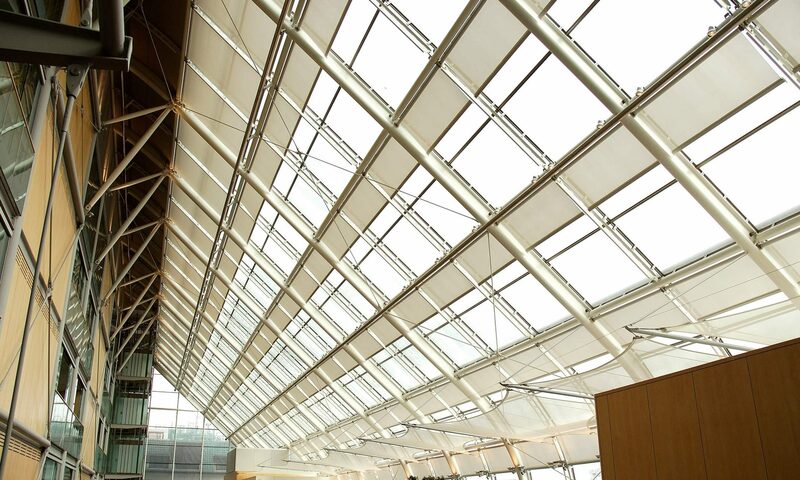 Early collaboration on bespoke design work enables optimum fabric coverage and integration of bespoke systems into the surrounding structures.